English » Who was Rev. Paauwe? 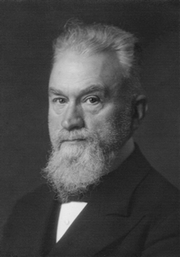 Born Jan Pieter Paauwe in 1872, Rev. Paauwe became a Dutch Reformed minister in 1901 in Yerseke. In 1907 he accepted a call of the congregation of Bennekom. It was here that he came into conflict with the church authorities. Rev. Paauwe was suspended in 1914 and later expelled for refusing to inscribe as members of his congregation a few liberal young persons, who had made their confession in the liberal congregation of a small town not far from Bennekom. On the invitation of some persons living in The Hague, he continued to preach in that town, where he settled. He also continued to preach at Bennekom as well as in Utrecht, Delft, Rotterdam (Charlois and Kralingen) and IJsselstein among other places. He did not found any new congregation or church. Rev. Paauwe preached for more than forty years after his expulsion. He passed away in 1956 in The Hague. Already in Yerseke, Rev. Paauwe’s preaching became increasingly noticed. On discovering the writings of the reformers, puritans and other godly authors of the 16th, 17th and 18th century, he was shown his lost state without Christ. Attracted by the solemnity of his preaching many people came to listen to his sermons. It was towards the end of 1911 in Bennekom according to his own account “that the Lord came and freed me from the bonds of the Law, and brought me over in the precious Lord Jesus, reconciling me to Himself through the precious blood of his dear Son”. What distinguished his preaching was its deep gravity and its great relevance for the hearers, together with the preacher’s great engagement toward his audience. Both man’s lost state and misery through his fall in Adam and salvation in Christ are emphatically put forward by him. He teaches that Christ and the mercies of the Covenant of grace are offered to all who come into contact with the Gospel. He distinguishes between the inward calling, saving faith, justification and sanctification, but does not separate these mercies the one from the other. Man is not saved until, through the particular working of the Holy Spirit, he accepts Christ and His mercies in the inward calling through faith which is a gift from God, and is thus united with Christ. He expressly teaches the assurance of faith. Rev. Paauwe felt completely at one with the writings of the reformers, the Synod of Dordt and many ancient authors of the 17th and 18th centuries. Also after his expulsion he considered himself to be a minister in the Dutch Reformed Church, but as this church was before 1816, so before the church under King William the First was given a new type of administration and doctrinal freedom was permitted. From an ecclesiastical point of view he had a completely isolated position. He warned about other denominations owing to the existing important differences in the doctrine of faith and the order of salvation. He recommended that his congregation did not attend church after his death, reading a sermon at home instead. Even now, many of his former hearers and their descendants, but also others who did not belong to his audience, continue to read sermons at home. Many of Rev. Paauwe’s sermons from the period 1922-1956 have been published, thus preserving them for future generations. It can be said of him: “By this faith he being dead yet speaketh” (Hebrews 11:4).